This study assessed changes of the key developmental parameters in children with CP during the INRS treatment course by retrospectively analyzing medical records. The following analysis of medical records was conducted in a group of patients undergoing rehabilitation at the International Rehabilitation Clinic during 2014-2016. Below is the summary of the article. 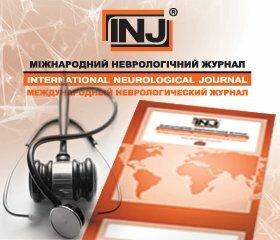 Kozyavkin V., Kachmar O., Lysovych V.
The Intensive Neurophysiological Rehabilitation System (INRS), also known by the name of its founder as the Kozyavkin method, is a relatively new approach to rehabilitation of children with cerebral palsy (CP). Diverse treatment components of this method that complement and potentiate each other are aimed at achieving the major goal of rehabilitation – to improve the quality of life of the patients. This study assessed changes of the key developmental parameters in children with CP during the INRS treatment course by retrospectively analyzing medical records. Methods. 4309 patients that had received rehabilitation in the International Clinic of Rehabilitation during 2014-2016 were included in the analysis. The analyzed group underwent a total of 12.785 rehabilitation courses. Medical records before and after a two-week course were compared. This was possible due to the dedicated software, developed specifically for informational support in INRS. The muscle tone, active and passive range of motion, gross motor function, fine motor skills, and several other parameters were evaluated. Results. Muscle tone decreased in 93% of patients with spastic forms of CP. Passive range of motion increased in 92% and active range of motion – in 84%. Changes in the gross motor function were measured with regard to the severity of motor impairment according to the Gross Motor Function Classification Scale (GMFCS). Head control improved in 27% of patients with GMFCS IV-V, crawling – in 16% with GMFCS III, sitting and sitting up – in 49% with GMFCS II-III, standing and standing up – in 68% with GMFCS I-II. Fine motor function improved in 32% of patients, emotional state – in 7,938 patients (83%), functions of the autonomic nervous system – in 2,163 patients (23%), and language skills – in 969 patients (10%). Conclusions. The study describes changes of the motor and mental functions in children with CP after a two-week INRS course. Our results provide the basis for further investigation of the INRS, particularly, in randomized controlled trials.